In 1960 Arsenal factory (Kiev, Ukraine) decided to add a 16 mm still camera to their well known 35 mm Kievs (Contax copies) and medium format Salyuts (Hasselblad copies). This time is was Minolta-16, which served as a prototype for the Kiev-Vega. Later the camera was slightly improved and became the Kiev-Vega 2. 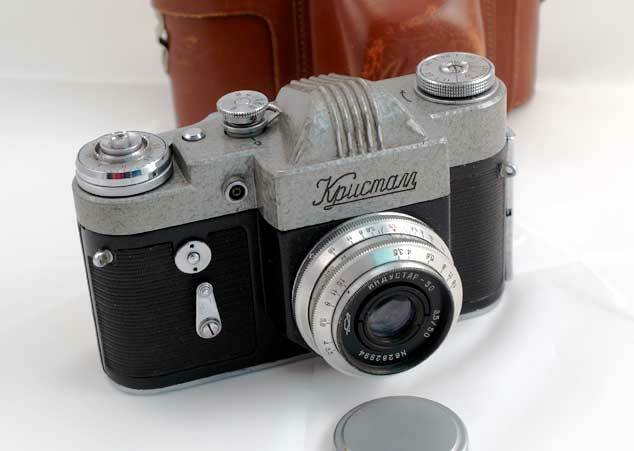 Some call this camera a "KGB" or a "spy" camera. Well, the KGB and the spies did better than this. The Kiev-Vega 2 was just a cool small camera, nice as a present or as a toy. The camera features "Kiev" in Ukrainian and English engraved on the front and "Vega 2" on the top. This Kiev-Vega 2 was made in the 1960's. It is in EXC- condition, clean and working. 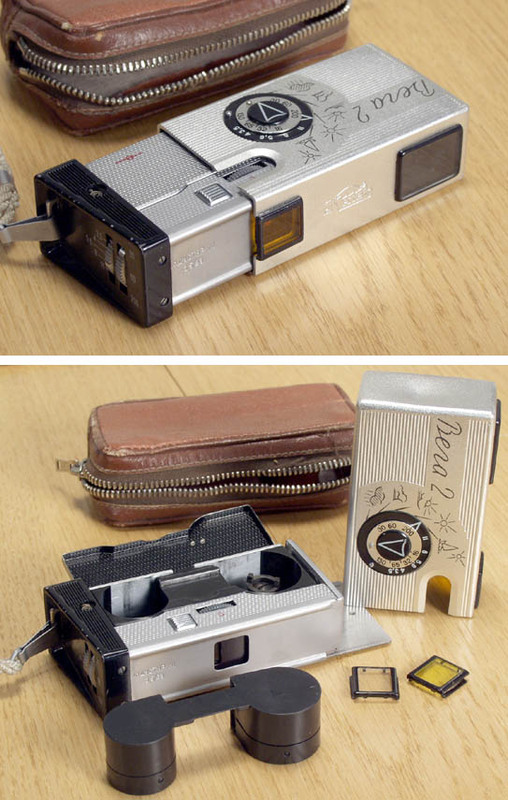 < LI>Kiev-Vega 2 16 mm Camera with a strap. Three filters (one is mounted on the camera and two more are stored in the tiny pockets inside the case).